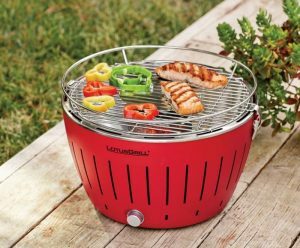 Love the flavor of smoked meats and veggies? 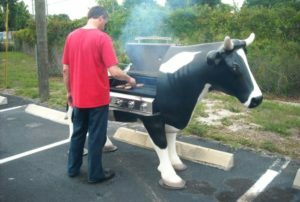 Sadly, everyone doesn’t have extra space for a stand alone smoker. But all thanks to these Smoke Pucks you can easily infuse smoke flavor to your favorite meals on your grill. 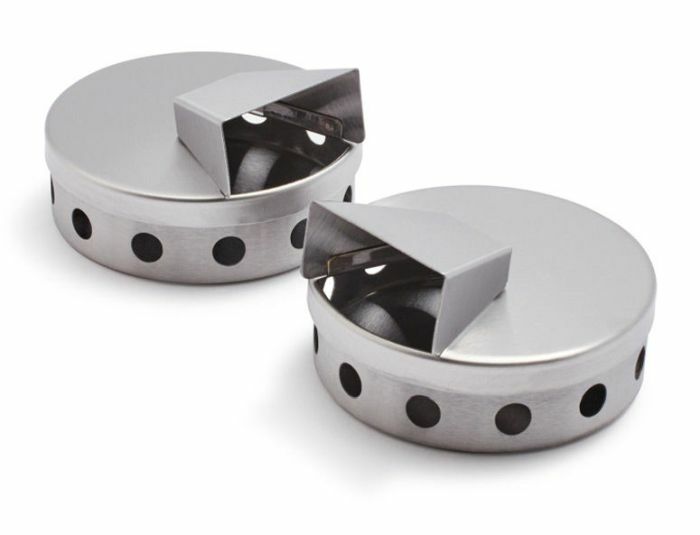 The Smoke Pucks are crafted from stainless steel and are durable enough to be used over and over again. The top lid of each puck pops off to have additional wood pieces as per the requirement. To use these devices, you need to fill each puck with your favorite kinds of wood chips or wood pellets. 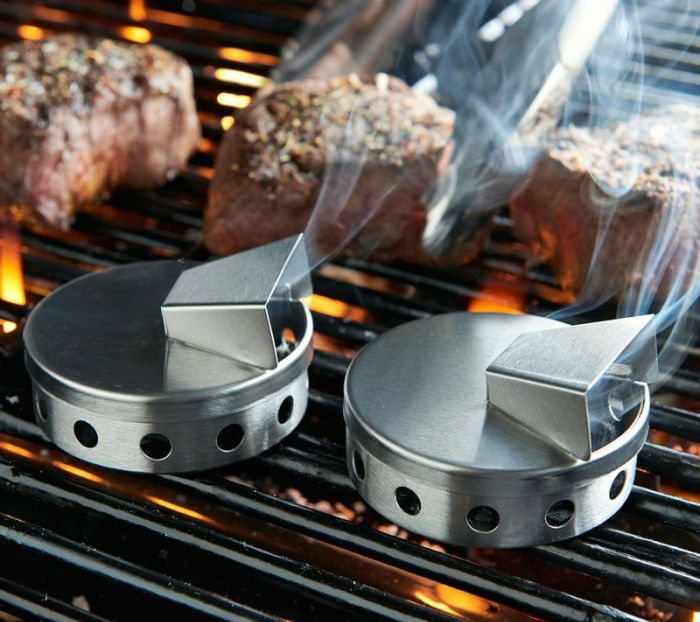 After that place the pucks onto any BBQ grill. 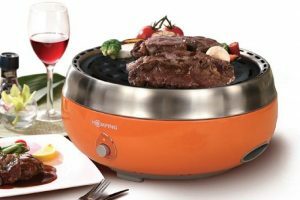 The heat from the grill further activates the pucks and release their essence into the food around it. You don’t need to presoak the wood pieces and this makes it an ideal way to quickly get cooking without all the preparation work. 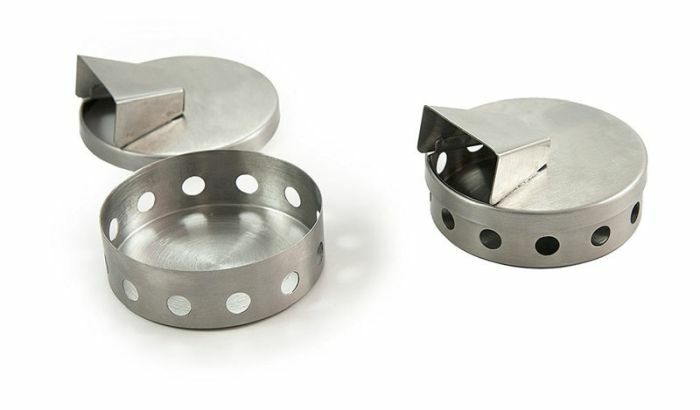 These tiny smoke pucks pack more punch than traditional smokers, so you’ll get the desired smoky flavor in no time. If using pellets, smoke is likely to appear within 15 minutes; however with wood chips, smoke appears in 20. You need to close the lid during cooking. Add more chips or pellets as needed. Smoke should last about 45 minutes to 1 hour with pellets, and 30 to 45 minutes with traditional wood chips. 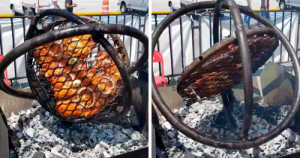 If you are using a gas grill, it’s better to place the smoke pucks away from the burners. This way these can produce smoke for as long as possible. 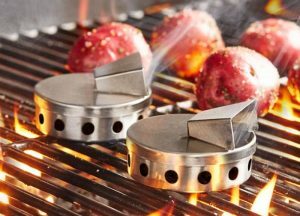 On placing the smoke pucks directly above the burners, these stainless steel devices heat up too soon, thus reducing smoke time. You can purchase these Smoke Pucks ( Set of 2) on Amazon for $8.99.